Bundesliga legend Jürgen Klinsmann believes his son Jonathan has all the attributes needed to prevail at new club Hertha Berlin. 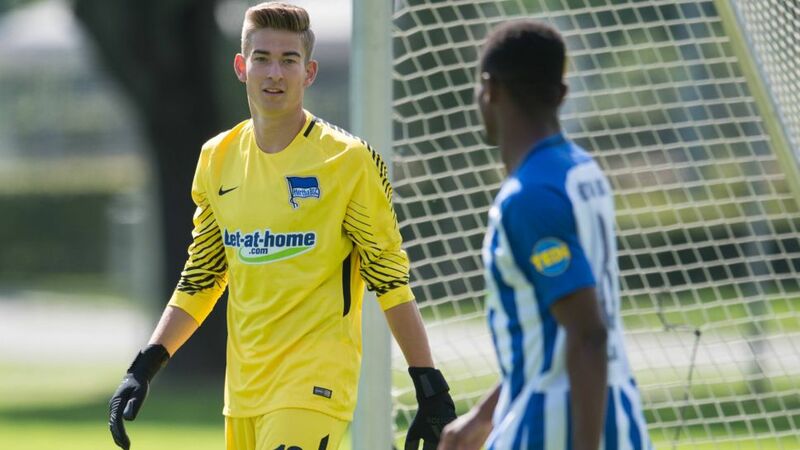 Klinsmann junior joined the Old Lady from the University of California Berkeley, at the start of July after impressing on trial and is now the third-choice goalkeeper in the Hertha first team behind Rune Jarstein and Thomas Kraft. And according to his father, he arrived at just the right time in his fledgling career. "He had a lot of offers on the table," said Klinsmann senior in an interview with Kicker. "He could've signed for any MLS team – they were all interested. But it was always his aim to go to Europe and see how far he could go. "I told my son that Hertha wanted to give him a ten-day trial and I said that if he succeeded, he'd be very close to playing in the Bundesliga," the former Stuttgart and Bayern Munich striker continued. "I explained that if he wants to make it to the very top and establish himself in Europe that he needed to go now, because otherwise the gap would grow too big." Jonathan impressed Hertha while on duty for the USA at the FIFA U-20 World Cup in South Korea in June, playing every minute of his side's run to the quarter-finals. And his father revealed it was he who put the capital club on the scent in the first place, alerting Hertha sporting director Michael Preetz to his son's ability and availability. "He's fundamentally an optimistic person and he's not afraid of taking risks either. When Preetz and [head coach] Pal Dardai asked me about him, I said he's able to concentrate on his own game very well and is able to keep his cool. He won't get anxious now, he won't get rattled. He knows he's number three and that he can learn a lot from Jarstein and Kraft […] He's very determined." Another factor in the young goalkeeper's favour is the fact he plays in a different position to his famous father. "I think he made a good decision, it's where he enjoys playing the most. Obviously he knows that he won't be compared to me as much there. He knows that it's not always easy having the name Klinsmann, but he's learned to deal with it. He knows he's responsible for himself now." It is still early days but it is safe to say Klinsmann junior has already made a good impression, scoring an eye-catching goal in one of his first training sessions and winning over key figures at the club. "Jonathan has convinced us with his ability, his charisma and his ambition. He should now establish himself with us and progress step by step," said Preetz. Click here for more Hertha news!